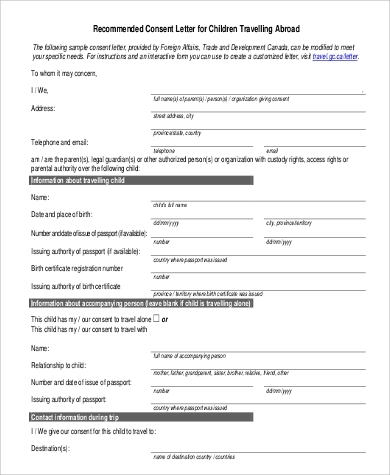 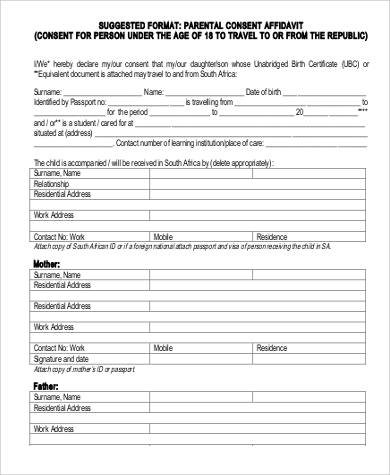 Our Sample Forms for child travel consent is a standardized form that can be used to fill up the necessary details for a consent requirement. 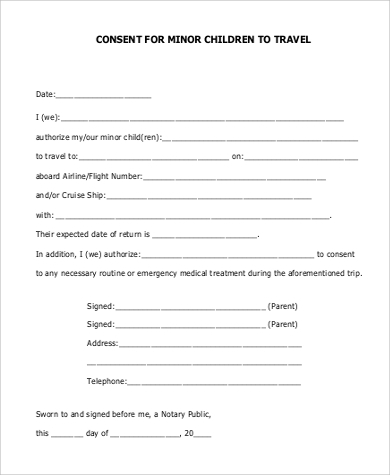 These are free to download and print and are available in both Word Doc and PDF file formats. 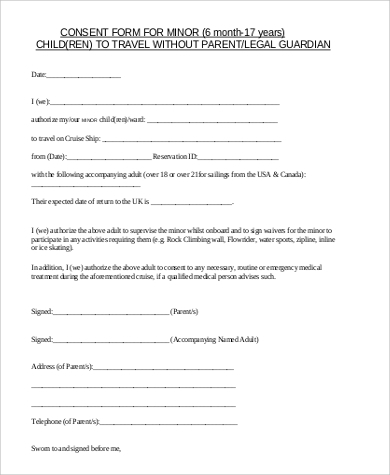 3. individuals other than parents with guardianship rights and responsibility of the child/children. 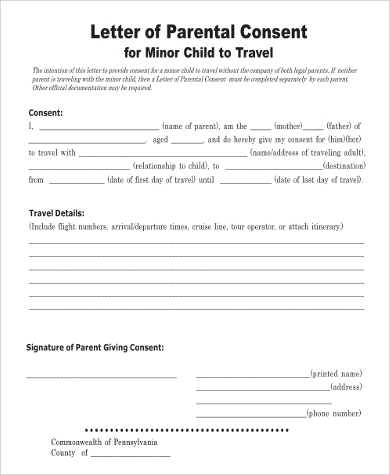 Our website’s sample consent forms and Informed Consent Forms are downloadable and printable for use when such forms are needed to gain travel permissions for a child or minor traveler. 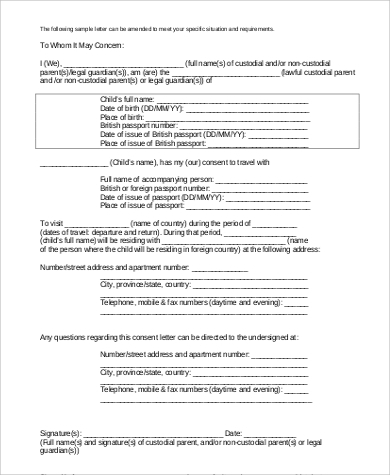 For those needing medical consent, our sample medical consent forms are also free for downloading and print and available in either Word Doc or PDF file formats.